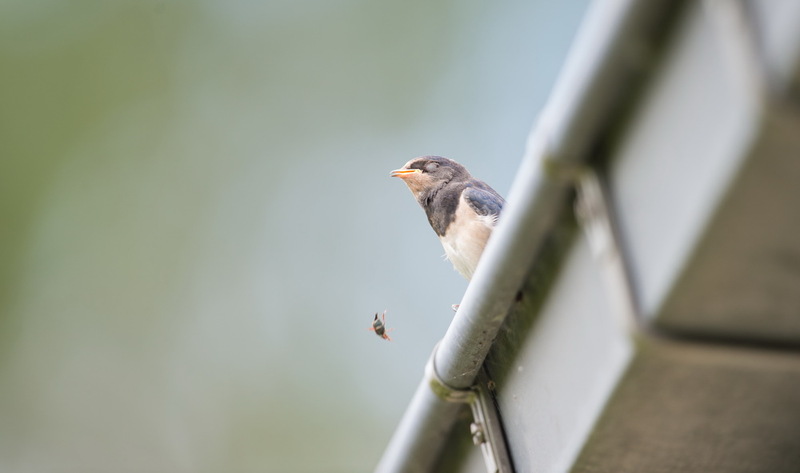 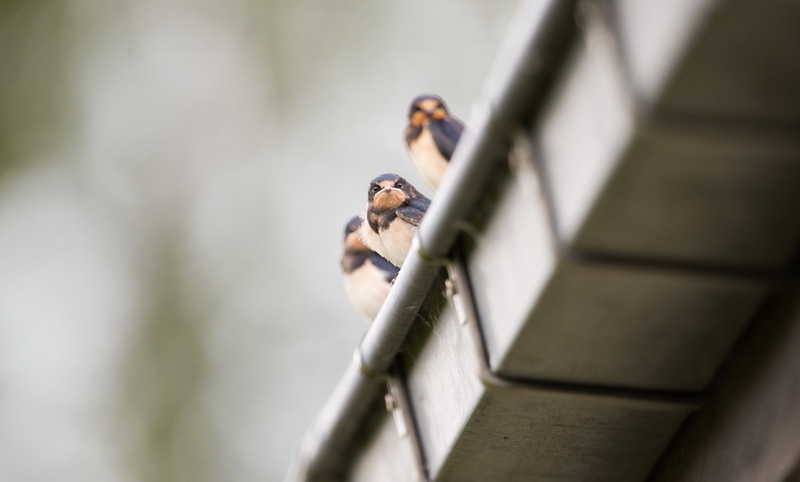 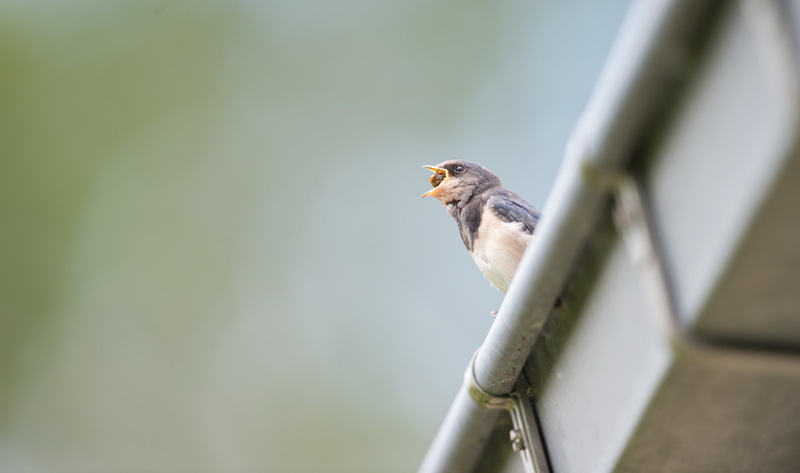 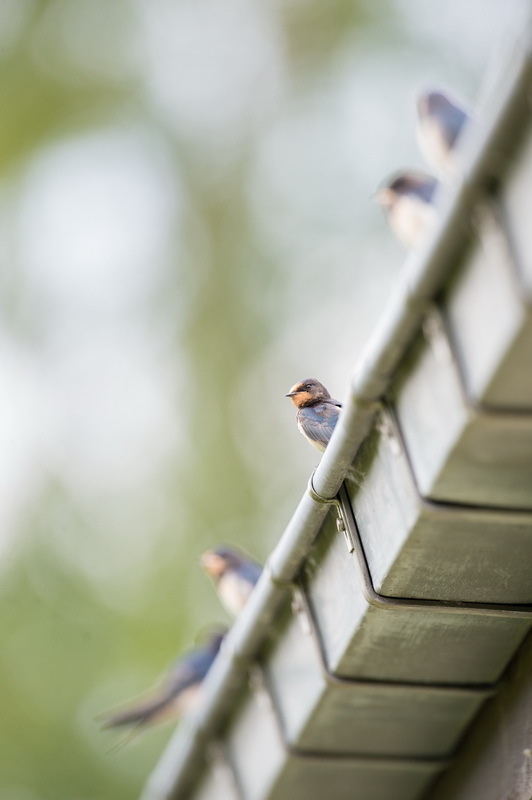 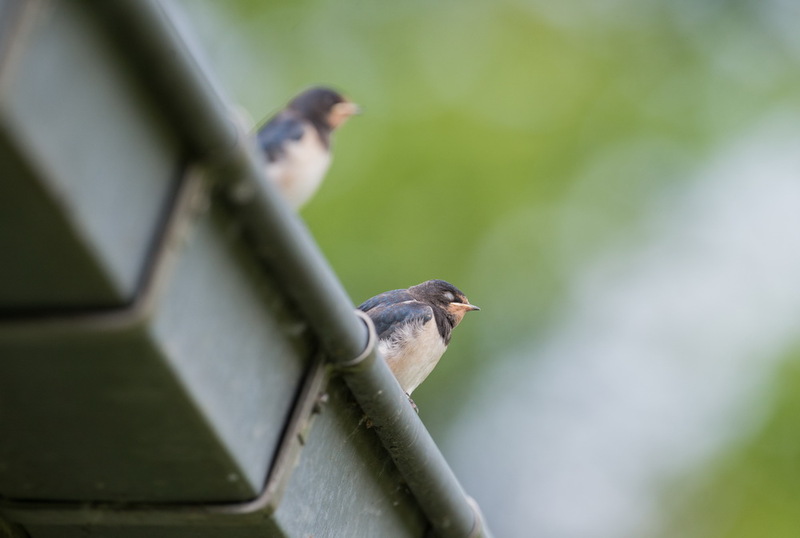 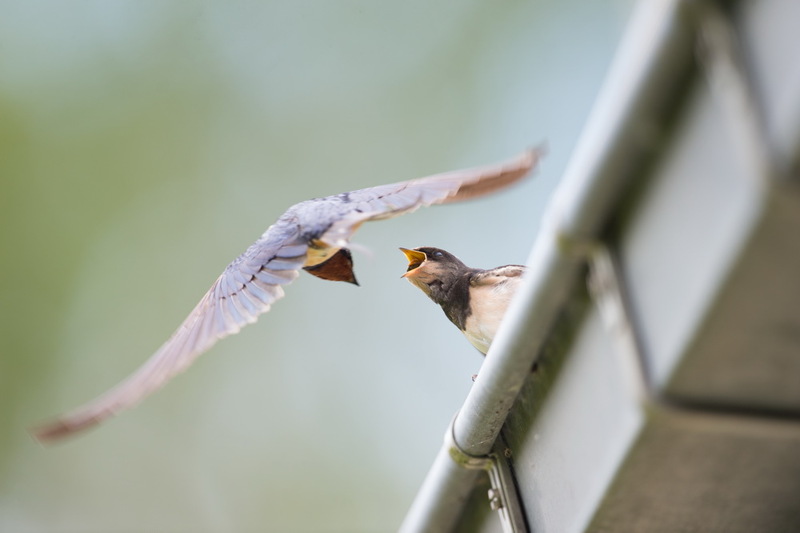 Some days ago, I noticed barn swallows feeding their youngsters in our roof gutter. 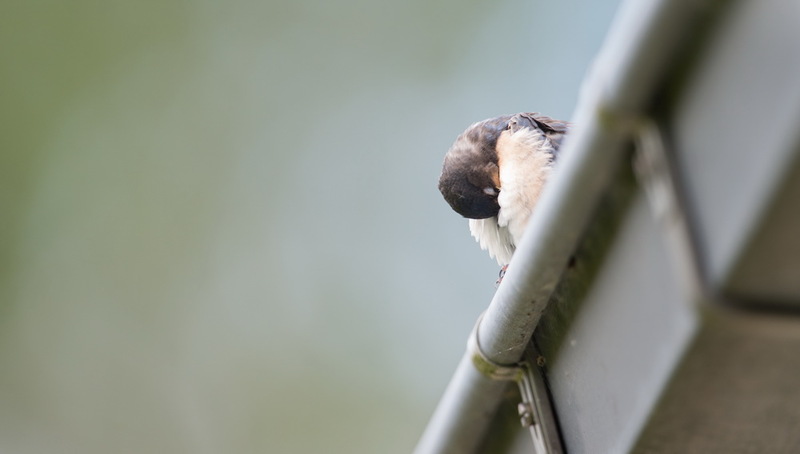 I decided to join them with my telelens and follow the feeding behaviour for some time. 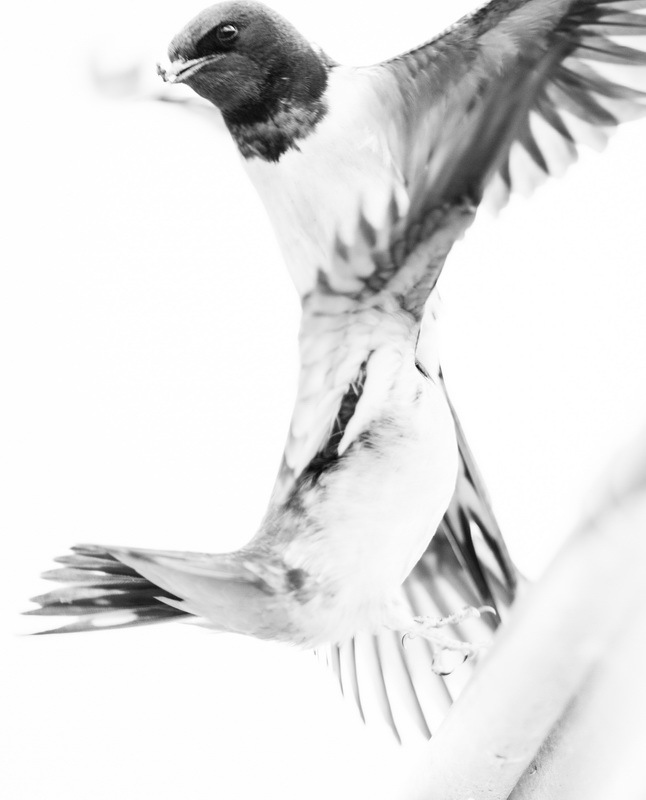 This was very interesting and I noticed several things. 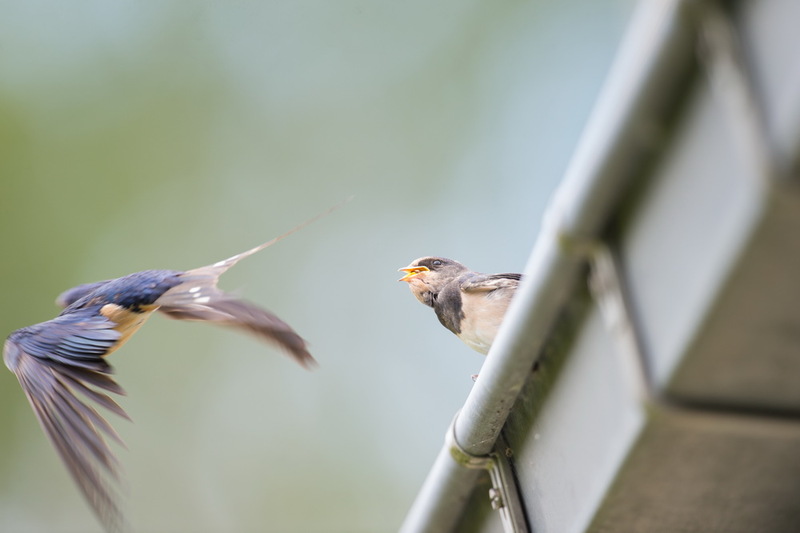 First of all… that the parents perfectly seem to remember which youngsters were already fed and who was going next. 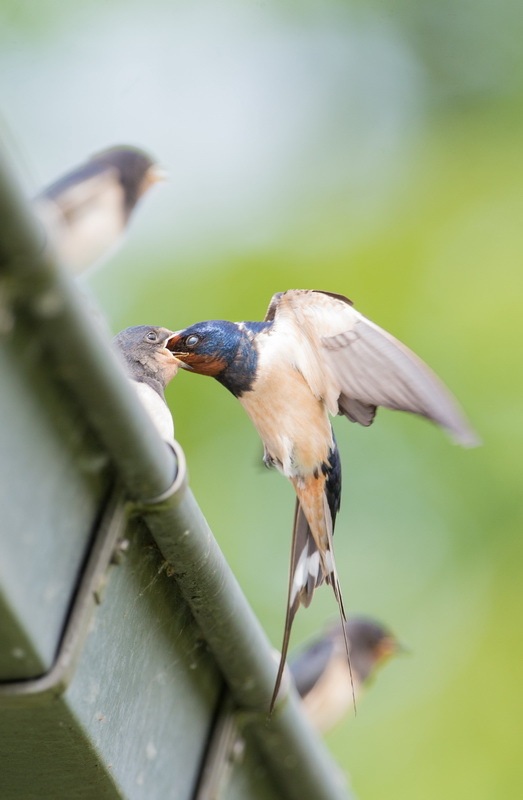 In this pic you clearly see that the adult male closes his eyelid at the moment closest to the beak of the young.